In the latest edition of “America’s Best Colleges,” released by U.S. News & World Report, Ramapo College was once again named among the top schools in the Best Regional Universities, North category. Ramapo was ranked 28th in the 2018-2019 listing, moving up nine notches from last year. Ranking criteria continued to distinguish Ramapo as an institution dedicated to small class size, strong first-year retention and graduation rates and loyal support from alumni. Institutions ranked in the Best Regional Universities category provide a full range of undergraduate and maste’s programs. Over the past two decades, the U.S. News college rankings, which group schools based on categories created by the Carnegie Foundation for the Advancement of Teaching, have grown to be one of the most comprehensive research tools for students and parents considering higher education opportunities. For the 12th consecutive year, Ramapo College of New Jersey is listed in Kiplinger’s Personal Finance Magazine. Ramapo is ranked among the “100 Best Values in Public Colleges” for in-state tuition and fees for 2018-19. Ramapo is one of only three New Jersey public institutions of higher education included in the list. The report features institutions that deliver a high-quality education at an affordable price, and Ramapo College was included due to its high four-year graduation rate, abundant financial aid and low cost. 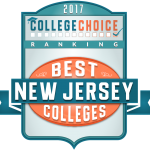 Ramapo College of New Jersey is named among the top in College Choice’s 2018 ranking of the 20 Best Colleges in New Jersey. Ramapo ranks as #1 among the nine public colleges in New Jersey and is ranked #3, with Princeton University and Stevens Institute of Technology, in the top two spots. College Choice, a leading authority in college and university rankings and resources, developed its list by assessing academic quality, institutional reputation, program accreditation, along with return on investment—the differential between tuition costs and average early career earnings. Data came from the National Center for Education Statistics, Payscale, and U.S. News & World Report. Money magazine lists Ramapo fourth in the state in its 2018-2019 “Best College for Your Money” rankings list. Ramapo’s ranking also puts it within the top 16 percent of schools nationwide (113 of 727 public/private institutions). Money analyzed graduation rates, tuition charges, family borrowing, alumni earnings and more than 20 other data points to find the country’s top higher education values that offer a well-rounded collegiate education. Collegeconsensus.com has ranked Ramapo College sixth of the 21 colleges and universities in New Jersey in its 2018“Best Colleges in New Jersey” listing. 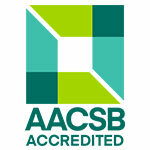 Consensus rankings are based on a comprehensive aggregate of published rankings and verified student reviews. Per Niche, top-ranked colleges offer outstanding campus housing that is safe and clean with modern amenities at reasonable prices. The 2019 Best College Dorms ranking is based on millions of survey responses from students and parents, and applies the most up-to-date data available from dozens of public data sources. 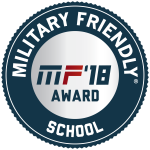 Ramapo College is recognized as a “Military Friendly School” by Victory Media, in the 2019 Guide to Military Friendly Schools. Of the more than 12,000 VA-approved schools nationwide, only the top 15 percent of schools were recognized as military friendly. Ramapo was noted for its services to veterans that include reasonable transfer of credit, financial benefits, veterans clubs, credit for military training and nationally recognized testing programs, flexible class schedules, and membership in the Service Members Opportunities Colleges. 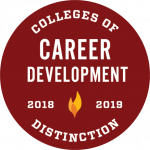 For the fourth consecutive year, Ramapo College is featured on CollegesofDistinction.com, a website dedicated to honoring schools nationwide for their excellence in student-focused higher education. 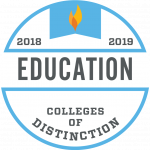 Ramapo was found to excel in all four Distinction categories measured in the 2018-2019 listing. 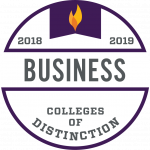 The Four Distinction areas assessed include: student engagement, quality of teaching, vibrancy of the college community and success of graduates. 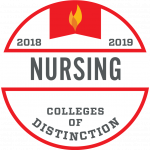 Colleges and universities featured on CollegesofDistinction.com must meet minimum standards in each category.